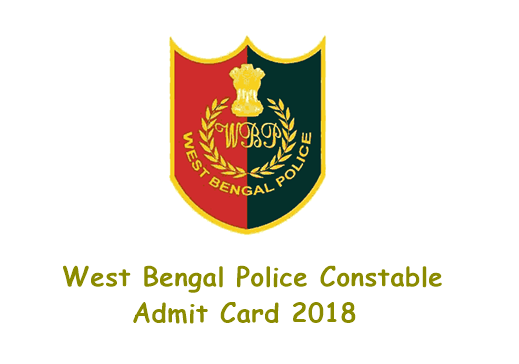 West Bengal Police Recruitment Board (WBPRB) to release the WB police constable admit card from 24th Sept 2018 its official website, policewb.gov.in. all the applicants can download the admit cards to carry it further to the examination. Aspirants can simply download the admit card by visiting the WBPRB official portal and clicking on the appropriate link to download the hall ticket. Candidates can download the hall ticket by furnishing the user id and password details. After the hall ticket get downloaded, take a printout of it to carry to the examination. The hall ticket verification will be done at the examination centres. Candidates can check WB Police Constable Hall ticket 2018 details from the following. West Bengal Police Recruitment Board (WBPRB) has announced 2581 lady constable vacancies. Many of the aspirants interested to get police jobs have applied for the WBPRB Police Constable posts 2018. The application process was ended by 1st February. WBPRB has received thousands of applications from the interested aspirants. Aspirants will be shortlisted through the written test, physical eligibility text, physical fitness test and medical examination rounds. The WB Police Recruitment board initially going to conduct the written test for aspirants. The date of Final Written Examination for recruitment to the post of Lady Constable in West Bengal Police has been scheduled on 07.10.2018 (Sunday) from 12:00 Noon to 01:00 PM. The e-Admit Cards will be available on the website of West Bengal Police (www.policewb.gov.in) from 24.09.2018 on keying of Application Sl. No. & Date of Birth. All efforts will be made to deliver SMS alert to the registered Mobile Number of the candidates. However, the Board will not be responsible for non-delivery of such SMS. The candidates shall have to produce the printout of their e-Admit Cards at the allotted venues for appearing in the said examination. Neither any paper Admit Card will be issued or sent by post to the candidates who have applied on-line nor will it be made available from the office of the West Bengal Police Recruitment Board. The candidates are advised to follow the instructions on their Admit Card and visit the website (www.policewb.gov.in) on a regular basis. Specimen of OMR Answer Sheet and Attendance Roll have also been uploaded in the website. CANDIDATES FOUND CARRYING MOBILE PHONE, DIGITAL WRIST WATCH OR ANY OTHER ELECTRONIC GADGET LIKE CALCULATOR, BLUETOOTH ENABLED HEARING DEVICE OR ANY OTHER COPYING MATERIAL WILL NOT BE ALLOWED TO SIT FOR THE FINAL WRITTEN EXAM AND SHALL BE TURNED AWAY FROM THE GATE. ANY TYPE OF CANVASSING DURING THE RECRUITMENT PROCESS WILL LEAD TO CANCELLATION OF CANDIDATURE. Prelims Exam Consists for 100 Marks. EQual Marks for All Questions. 1/4 Negative Marking For Wrong Attempted Answer. Question Paper Will Be Given in two Languages (Bengali & Nepali). On the homepage “West Bengal Police Constable Admit Card 2018” Link appears on the screen. Sir, as I am an offline candidate i recieved my admit for PMT & PET by post. But this time for my final exam I am not able to get the admit card either online or by post. What shall I do for that? Please suggest. West Bengal lady constable final written exam Kobe hote pare sir?? Ami pet exam e select hoyechi. Next what I have to do ??? My name is Oindrila Debroy. DOB is 25/07/1993. Application no is 40030403. But when I am going to download my admit card my application no is getting mismatched. please help me to download my admit card. What is the cut off marks of this examination? my name is Rinku biswas. D.O.B -03/12/1990. Aplication Sl No-30001158. but when i am going to download my Admit Card, this application sl no mismatch. so i couldn't download my admit card. so please help me to download my admit card. Helo sir i have lost my application id so how can i get that id..